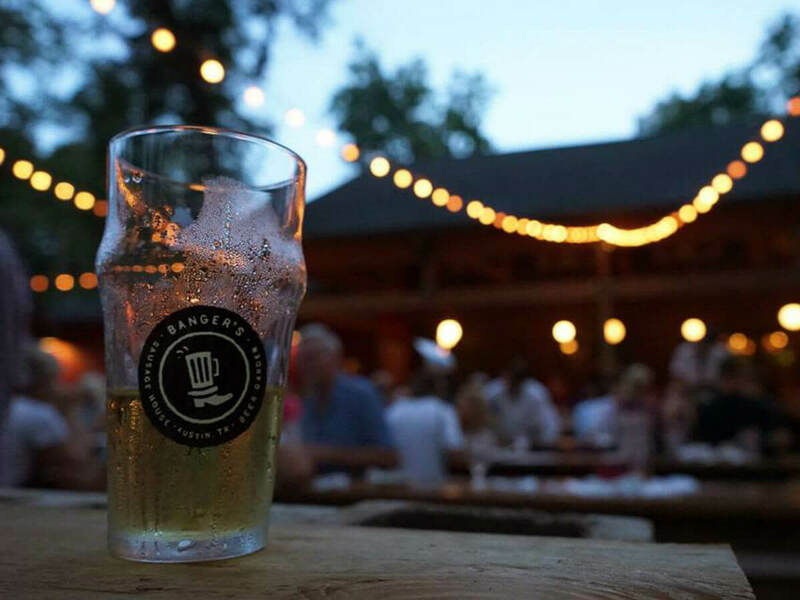 Whether you have a badge or not, camping out to enjoy a few drinks and some people watching is a SXSW tradition — especially since the festival usually coincides with the unofficial return of spring. But as tempting as it is to hover near the action, we recommend finding retreats that will really allow you to recharge. 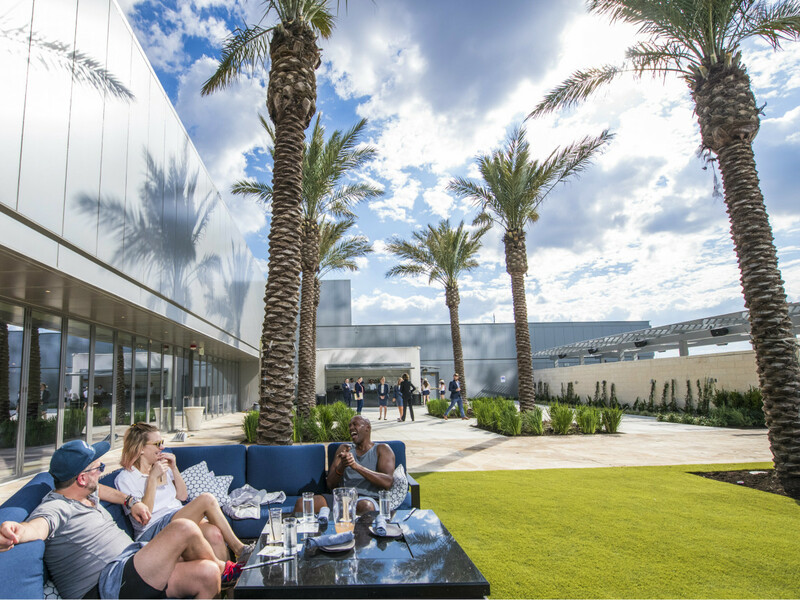 From a sparkling rooftop lounge to a Tex-Mex classic, these restaurant and bar patios are an instant retreat. If you want to live like local, order a couple of drinks and sit a spell. 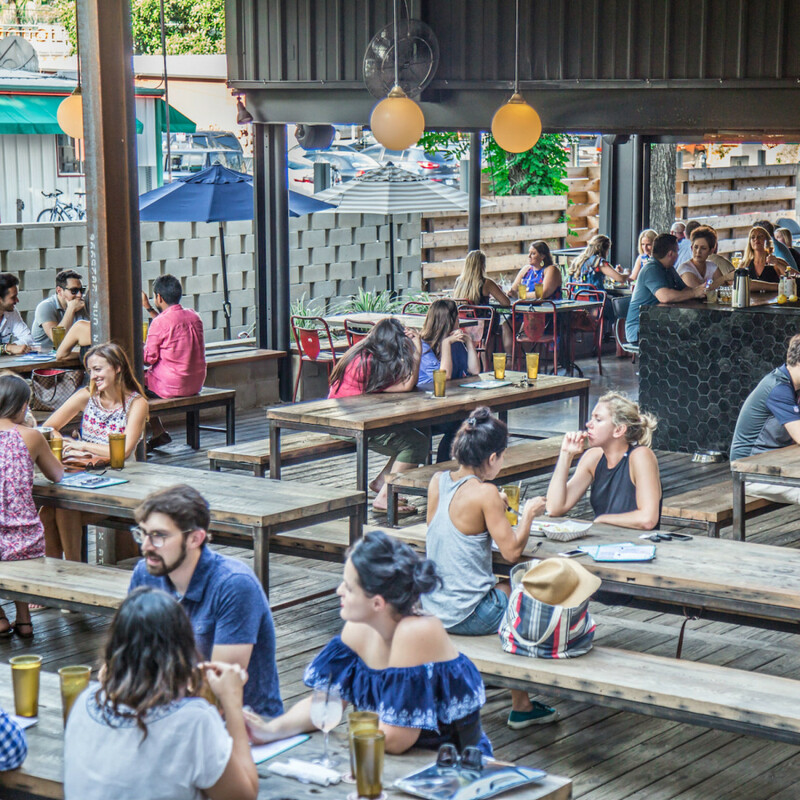 This Rainey Street oasis has the feel of a backyard barbecue with rows of picnic tables, strung carnival lights, and plenty of beer (a gobsmacking list that includes over 100 taps). Fittingly, dogs are welcome, both in the middle of the action and in the adjacent off-leash dog park. Don’t want Fido to steal your artisan hot dog? Order a specialty sausage made just for furry friends. The rooftop bar at this Seaholm stunner offers a "capital-V" view, looking on one side into a jumble of skyscrapers and on the other to the rolling hills beyond. The menu is all about variety, too. Snack on fried cauliflower before dinner at the downstairs restaurant, or feast on the beefy B9 Burger at the bar. Then toast your good luck with one of the complex but approachable libations — most offered with your choice of spirit. This bar in a converted Cesar Chavez Street bungalow has recently caught the tiki wave, introducing a backyard hut serving tropical classics like Painkillers and original takes like coconut mojitos. To pair with those cups of paradise, try a pork and shrimp gyoza or an ahi tuna poke bowl from “Hawaiian soul food” truck Alley Cat. 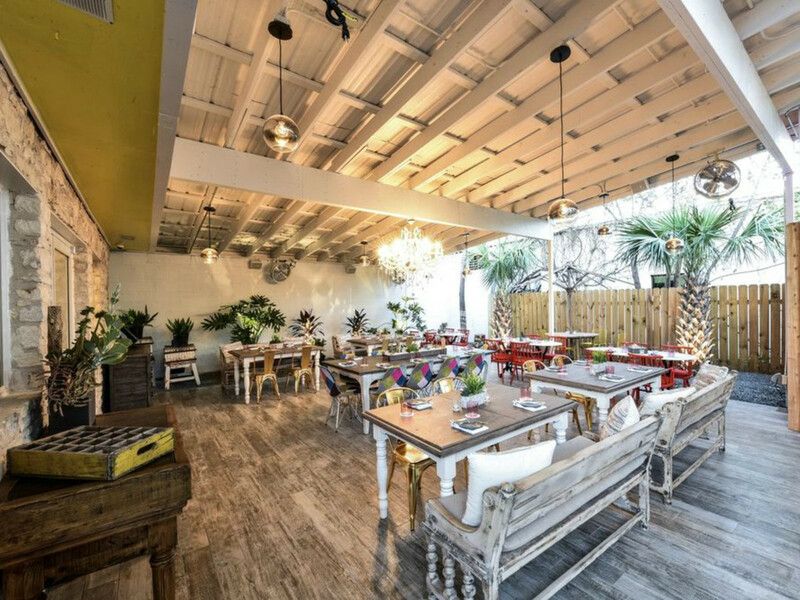 Located a little east of the SXSW hubbub, this contemporary Mexican eatery has a beachy plant-lined covered patio just off to the side. Running from 5-7 pm on Tuesday-Friday, you can enjoy happy hour bites like tostaditas layered with picadillo, refried beans, and tomato quemado while enjoying one of Austin’s signature drinks: the Mexican martini. 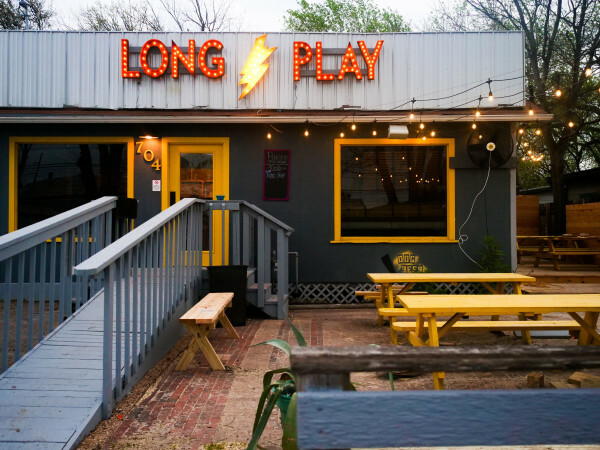 If you are looking to spot a celebrity, nab a spot in front of this SoCo mainstay and down one of the 20-plus specialty margaritas. For grub, the tacos are a safe bet here, but dig deeper and you’ll find solid Tex-Mex classics like chicken alambres, tamales, and enchiladas that will satisfy every yearn. 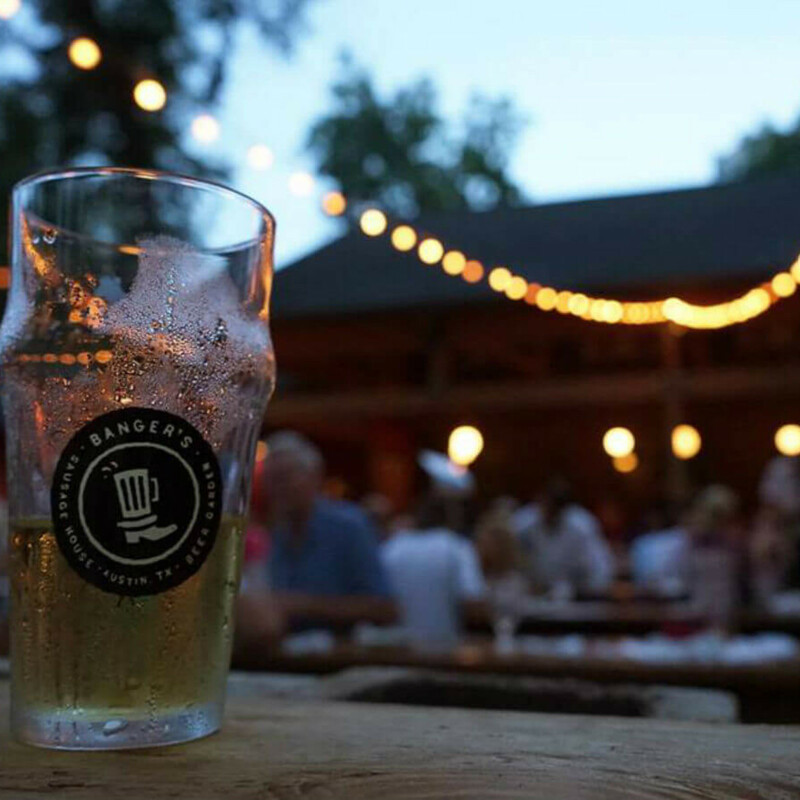 Making a stop at this beer garden is a no-brainer during SXSW. 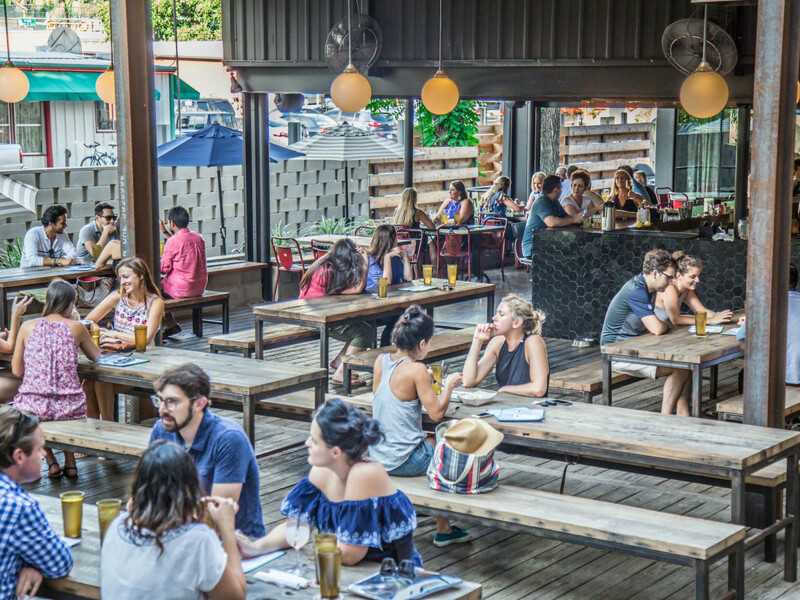 The patio along Waller Creek is an instant escape, especially when the restaurant’s comprehensive whiskey menu starts to pour. Shovel in handfuls of Easy Tiger’s house Chex mix while playing a round of table tennis, and don’t forget to grab a baguette for later as you head out the door. 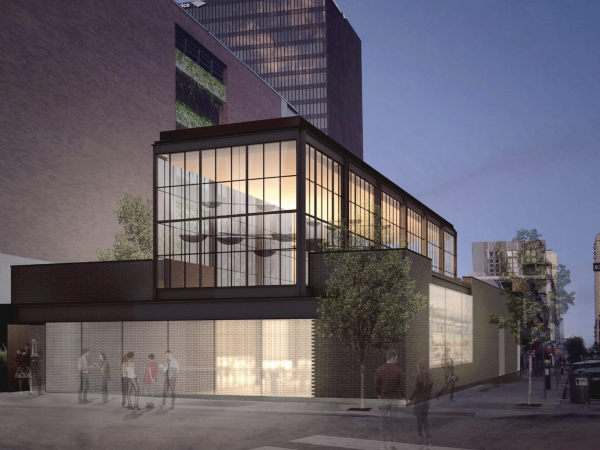 The huge wraparound outdoor space at Irene’s brings a little midcentury glamour to an area of town known more for its raucous vibe. Throwback treats are naturally the star here, whether all-American dishes like a ham and cheese sandwich or a cream cheese-frosted strawberry cake. 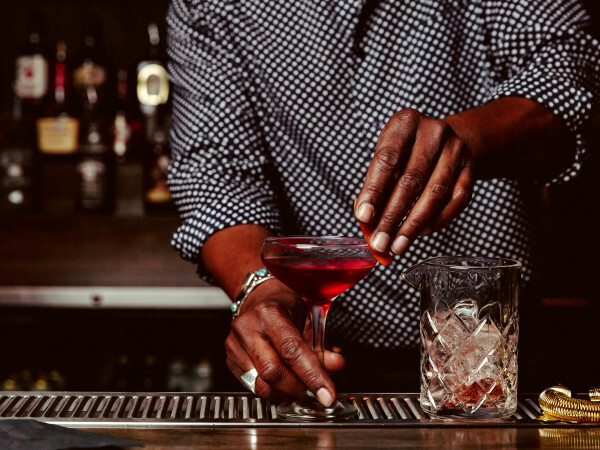 One warning: the drinks are famously boozy, so you might want to slow your roll. The back patio of this East Austin hangout has the same izakaya-meets-smokehouse feel as the rest of the space, but potted bamboo lends a bit more intimacy. Share a Puff Puff Pass — served in an Insta-worthy puffer fish bowl — with one of your friends, and don’t be afraid of the chinmi menu with delicacies like marinated octopus, fermented soybeans, and crispy ray fin. The front and side patios of this Holly neighborhood gem offer two distinct experiences. Join the raucous party at the tables up front or ease into one of the cushy seats at the luxury resort-like yard on the side. 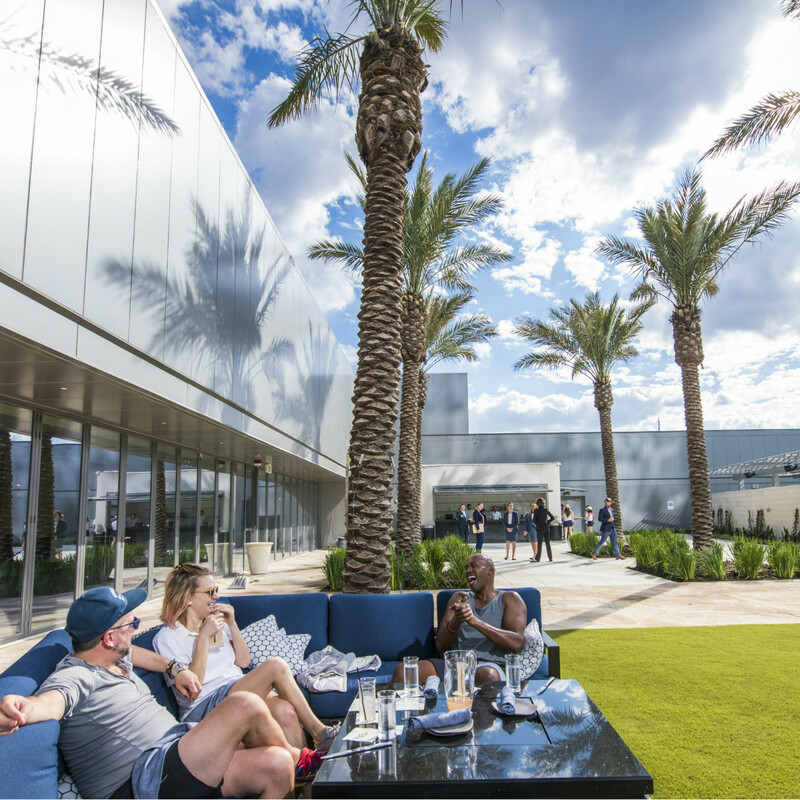 The all-day cafe is especially buzzy during the daylight hours, where you can while away your time with a glass of prosecco and a vibrant Sunshine Bowl filled with turmeric hummus, pickled beets, quinoa, and more. 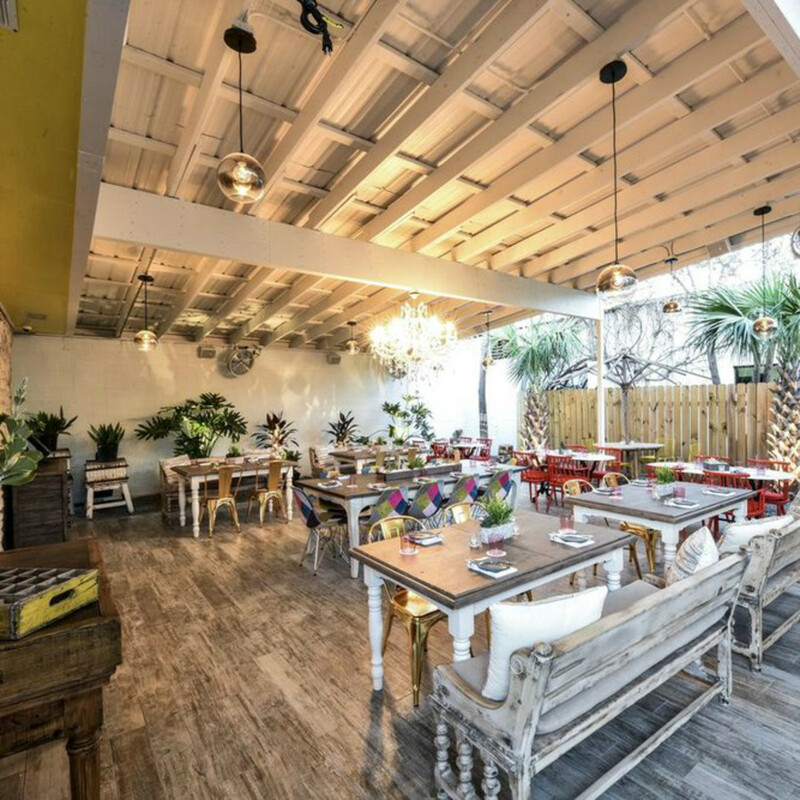 You can almost feel the salt air at this South Congress hot spot with a decidedly Cape Cod vibe. Settle in for an eternal summer with Perla’s Porch Punch — a breezy Cana Brava 7 rum drink topped with a pour of sparkling wine. The menu includes oysters and a bouillabaisse made with a luscious saffron rouille, but if you really want to feel like you’re on vacation, try the famous buttery lobster roll. If you have a fear of heights, this newly opened bar on the seventh floor of the luxury Fairmont Austin hotel may give you the chills. The rest will enjoy watching the city lights twinkle off the property's two pools. The food is a bit lighter than most bars, filled with bites like green papaya salad or rice paper rolls, but you can still order a bacon cheeseburger when the cocktails start to hit.